<h2>Half of dementia risk down to lifestyle</h2><br /><p>‘Dementia is the number one fear of ageing and yet people don’t know that 50 % of our cognitive health is in our own hands,’ said Dr Kate Irving, of Dublin City University, Ireland.</p> <p>Getting to grips with what causes Alzheimer’s disease – and other forms of dementia – is an urgent challenge. According to the <a href="https://www.alz.co.uk/research/world-report-2016" target="_blank">2016 World Alzheimer Report</a>, nearly 47 million people worldwide are living with dementia, projected to rise to 131.5 million by 2050.<br /> <div class="citationsBlock"> <h3>The Issue</h3> <p class="selectionshareable selectionShareable">By 2060, <a href="http://ec.europa.eu/economy_finance/graphs/2015-05-12_ageing_report_en.htm" target="_blank">more than a quarter</a> of Europeans will be 65 years old or over.</p> <p class="selectionshareable selectionShareable">It means that health systems will have to spend more and more resources dealing with diseases that affect older people, such as dementia. Alzheimer’s disease is currently the most common form of dementia, representing about <a href="http://www.alz.org/what-is-dementia.asp" target="_blank">60 % to 80 %</a> of cases.</p> <p class="selectionShareable">Under the Horizon 2020 funding programme, the EU has so far dedicated <a href="http://www.europarl.europa.eu/sides/getAllAnswers.do?reference=E-2015-006876&amp;language=EN" target="_blank">at least EUR 87.5 million</a> to understanding how dementia works and can be treated.</p> </div> </p> <p>Yet only a small proportion of dementia cases – around 5 % – are genetically inherited. What is certain is that diet, exercise and education all have an important role to play.</p> <p>‘We need to change communities so that they support people to live healthier lifestyles,’ said Dr Irving, who coordinates the EU-funded In-MINDD project that has developed an online profiling tool doctors can use to steer middle-aged people towards making brain-healthy choices.</p> <p>By 2018, the global economic <a href="https://www.alz.co.uk/news/world-alzheimer-report-2015-reveals-global-cost-of-dementia-set-to-reach-usd-1-trillion-by-2018" target="_blank">cost of dementia</a> is expected to reach USD 1 trillion. Dementia in all its forms can lead to stigma and isolation in people with the condition and has a huge impact not only on the people themselves but also on their families and carers.</p> <p>Dr Irving said her previous clinical work as a nurse left her ‘astounded’ that patients often had no idea there was anything they could do to decrease their chances of developing poor cognitive health as they age.</p> <p><strong>Steps</strong></p> <p>She and the In-MINDD team set about reviewing and understanding the available data on dementia in order to develop a clear and accurate message that could be communicated to the public about the steps that can be taken to cut their risk.</p> <p>As well as the tool for doctors, the In-MINDD team has also developed an <a href="http://in-mindd.eu/home" target="_blank">online tool</a> for 40 to 60 year olds to help them assess how brain-friendly their lifestyle is.</p> <p><a href="https://horizon-magazine.eu/alert" target="_blank"><img src="/sites/default/files/news%20alert2_0.jpg" width="983" height="222" /></a></p> <p>It looks at everything from how many times per week they go for a walk to their occupation, the number of years they have spent doing regular housework or childcare, and the amount of pulses and green vegetables they eat.</p> <p>And in fact, it’s the diet that could have one of the biggest impacts, a separate group of researchers believes, due to the effect of what we eat on the bacteria that colonise the gut – known as the gut microbiome.<br /> <div class="quote-view quotesBlock quote_vertical_right"> <div class="quotesTop"><img src="https://horizon-magazine.eu/sites/all/themes/horizon/images/quotes_top.png" alt="" title="" /></div> <p>‘We do believe that what you eat shapes the way your brain ages.’</p> <blockquote><p>Prof. Aleksandra Radenovic, Ecole Polytechnique Federale de Lausanne, Switzerland</p></blockquote> <div class="quotesBottom"><img src="https://horizon-magazine.eu/sites/all/themes/horizon/images/quotes_bottom.png" alt="" title="" /></div> </div> </p> <p>‘We do believe that what you eat shapes the way your brain ages,’ said Professor Aleksandra Radenovic at the École Polytechnique Fédérale de&nbsp;Lausanne, Switzerland.</p> <p>Along with Professor Lasser, also at the École Polytechnique Fédérale de Lausanne, she is coordinating a European wide consortium examining the connection between the gut microbiome and Alzheimer’s disease as part of the EU-funded AD-gut project.</p> <p>She is part of a research team that is examining in detail the connection between the gut microbiome and Alzheimer’s disease as part of the EU-funded AD-gut project.</p> <p>It’s still not clear whether the microbiome affects Alzheimer’s or vice versa.&nbsp;However, the team is aiming to grow and encapsulate microorganisms that could modulate the microbiota in the gut. Once they have done this they will assess its impact on the brain.</p> <p>‘We’re aiming to understand the underlying mechanisms by which microbiota impacts on the development of Alzheimer’s disease and enable future research that might hopefully help in the delay of Alzheimer’s onset,’ said Prof. Radenovic.</p> <p><em style="font-size: 13.008px;">If you liked this article, please consider sharing it on social media.</em></p> <br /> <img src=”http://www.google-analytics.com/collect?v=1&tid=UA-40077089-1&cid=half-of-dementia-risk-down-to-lifestyle&t=event&ec=republish&ea=read&el=half-of-dementia-risk-down-to-lifestyle&cs=republish&cm=republish&cn=republish&cm1=1" /> This post <a href="https://horizon-magazine.eu/article/half-dementia-risk-down-lifestyle.html">Half of dementia risk down to lifestyle</a> was originally published on <a href="https://horizon-magazine.eu/">Horizon: the EU Research &amp; Innovation magazine | European Commission</a>. Eating well and going for walks in middle age can contribute to cutting your risk of dementia in half, say researchers who are working on ways to tackle the disease through lifestyle choices. ‘Dementia is the number one fear of ageing and yet people don’t know that 50 % of our cognitive health is in our own hands,’ said Dr Kate Irving, of Dublin City University, Ireland. Getting to grips with what causes Alzheimer’s disease – and other forms of dementia – is an urgent challenge. According to the 2016 World Alzheimer Report, nearly 47 million people worldwide are living with dementia, projected to rise to 131.5 million by 2050. By 2060, more than a quarter of Europeans will be 65 years old or over. It means that health systems will have to spend more and more resources dealing with diseases that affect older people, such as dementia. Alzheimer’s disease is currently the most common form of dementia, representing about 60 % to 80 % of cases. 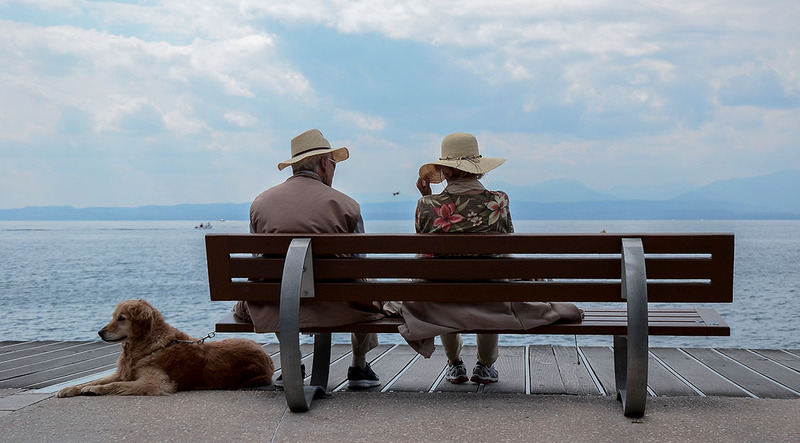 Under the Horizon 2020 funding programme, the EU has so far dedicated at least EUR 87.5 million to understanding how dementia works and can be treated. Yet only a small proportion of dementia cases – around 5 % – are genetically inherited. What is certain is that diet, exercise and education all have an important role to play. ‘We need to change communities so that they support people to live healthier lifestyles,’ said Dr Irving, who coordinates the EU-funded In-MINDD project that has developed an online profiling tool doctors can use to steer middle-aged people towards making brain-healthy choices. By 2018, the global economic cost of dementia is expected to reach USD 1 trillion. Dementia in all its forms can lead to stigma and isolation in people with the condition and has a huge impact not only on the people themselves but also on their families and carers. Dr Irving said her previous clinical work as a nurse left her ‘astounded’ that patients often had no idea there was anything they could do to decrease their chances of developing poor cognitive health as they age. She and the In-MINDD team set about reviewing and understanding the available data on dementia in order to develop a clear and accurate message that could be communicated to the public about the steps that can be taken to cut their risk. As well as the tool for doctors, the In-MINDD team has also developed an online tool for 40 to 60 year olds to help them assess how brain-friendly their lifestyle is. It looks at everything from how many times per week they go for a walk to their occupation, the number of years they have spent doing regular housework or childcare, and the amount of pulses and green vegetables they eat. And in fact, it’s the diet that could have one of the biggest impacts, a separate group of researchers believes, due to the effect of what we eat on the bacteria that colonise the gut – known as the gut microbiome. ‘We do believe that what you eat shapes the way your brain ages,’ said Professor Aleksandra Radenovic at the École Polytechnique Fédérale de Lausanne, Switzerland. Along with Professor Lasser, also at the École Polytechnique Fédérale de Lausanne, she is coordinating a European wide consortium examining the connection between the gut microbiome and Alzheimer’s disease as part of the EU-funded AD-gut project. She is part of a research team that is examining in detail the connection between the gut microbiome and Alzheimer’s disease as part of the EU-funded AD-gut project. It’s still not clear whether the microbiome affects Alzheimer’s or vice versa. However, the team is aiming to grow and encapsulate microorganisms that could modulate the microbiota in the gut. Once they have done this they will assess its impact on the brain. ‘We’re aiming to understand the underlying mechanisms by which microbiota impacts on the development of Alzheimer’s disease and enable future research that might hopefully help in the delay of Alzheimer’s onset,’ said Prof. Radenovic.